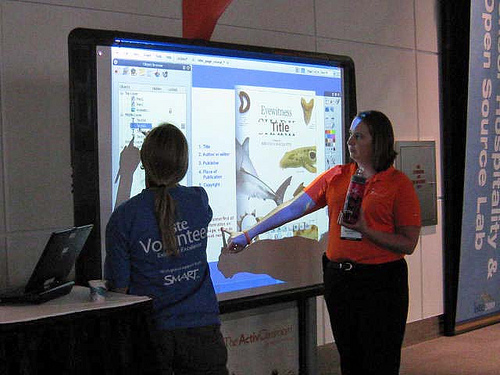 The Promethean Board, a specific brand, is an interactive whiteboard which allows you to project an image from your computer as well as interact with it by using specialized pens. The cost of a Promethean Board will greatly depend on the board type you want to purchase as the company does manufacture a few models, which we will discuss in the table below. Also, the condition of the board (new vs. used) and the reseller you purchase from can all affect the price as well. Researching online, we were able to find quite a few authorized retailers that did list their prices online. Taking the average, we compiled a simple table, along with the basic description and price range we found. Your results will vary based on the factors we mentioned earlier so it’s best to use this as an estimate only. NOTE: You can save up to 60% if you were to buy a secondhand unit on eBay and occasionally, some sellers list on Amazon.com as well.